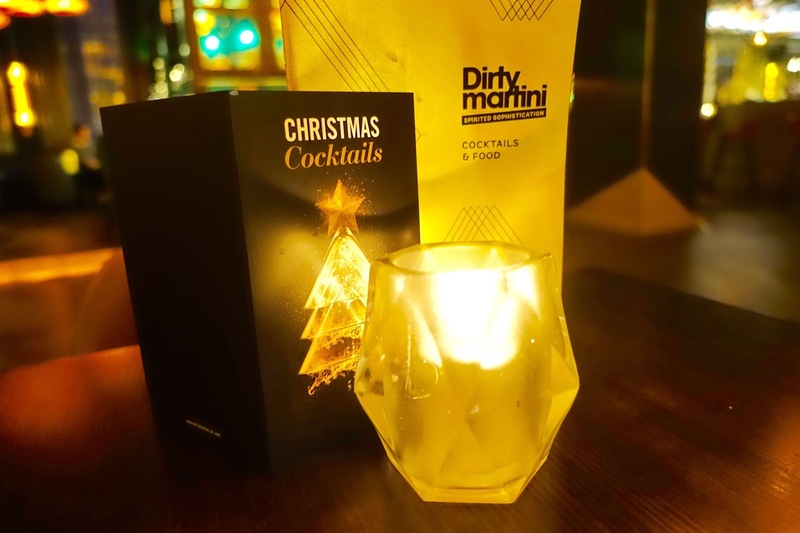 Recently I was invited back to one of my favourite cocktail bar chains in London, Dirty Martini to try out their range of festive cocktails on offer to celebrate the Christmas period. 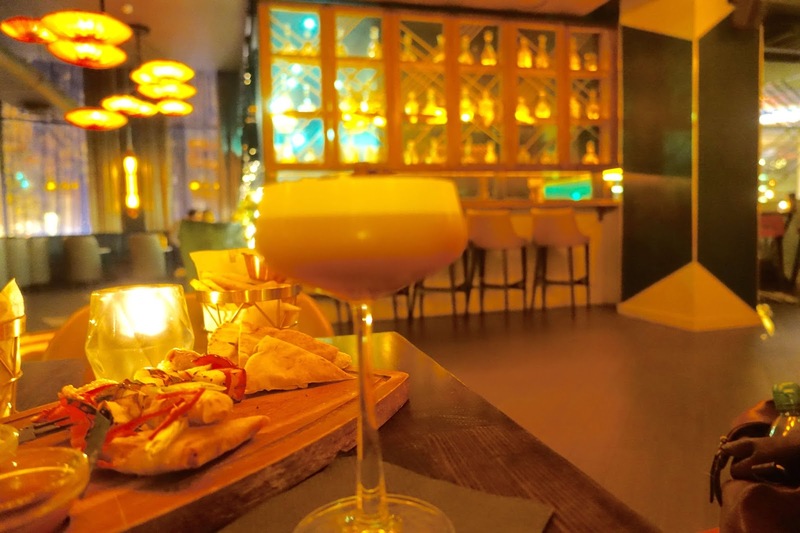 This time I chose to visit the Dirty Martini branch situated amongst the buzz of Clapham high street as this is the branch that is a little closer to home for me. 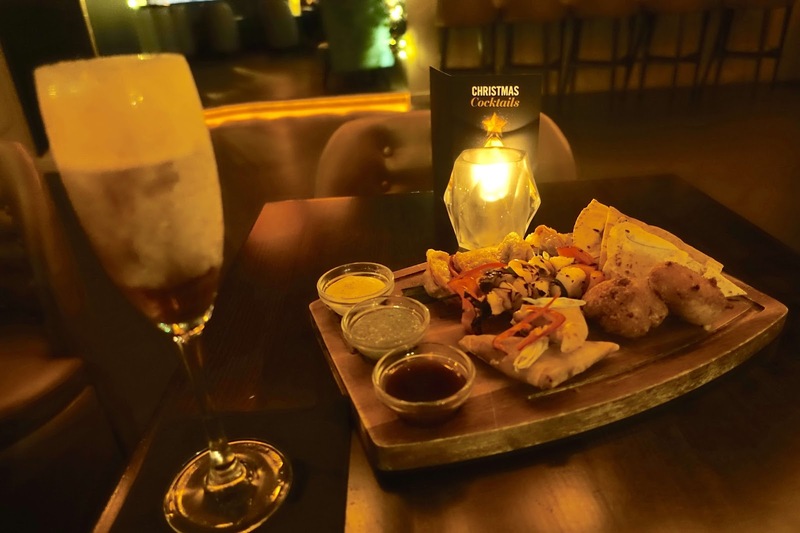 This Christmas 2016, Dirty Martini have put together a unique Christmas cocktail menu consisting of 5 festive cocktail choices; Sticky toffee fizz, mince chai, Christmas cheer, ambrosia martini and a Quince & Walnut Old Fashioned. 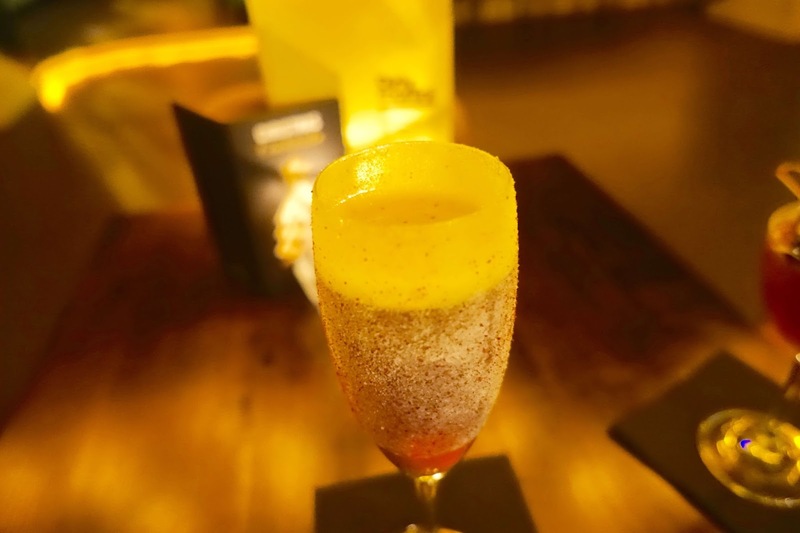 We started the night by trying a Sticky Toffee Fizz which is made with Captain Morgan Spiced Rum which is shaken with Patrón XO Cafe Tequila, caramel syrup & Bitter Truth Pimento Dram liqueur and then topped with Prosecco. My favourite part about this cocktail was the sticky toffee rim which added a sweet kick to every sip! Next, we moved onto the Mince Chai - formed by mixing Bold London Spirit, Bitter Truth Pimento Dram & gingerbread syrup are both shaken with homemade chai tea syrup, pressed apple juice, citric acid, egg white & a dash of Fee Brothers Cherry Bitters. We both really enjoyed this cocktail - the gingerbread and chai tea syrup mix were a great flavour combination. A festive suggestion - why not serve a mince pie on the side? Christmas Cheer - Bols Genever, Tanqueray Gin & Cherry Heering liqueur are shaken with raspberry syrup, Luxardo Maraschino cherry liqueur, pomegranate juice & a dash of orange bitters. 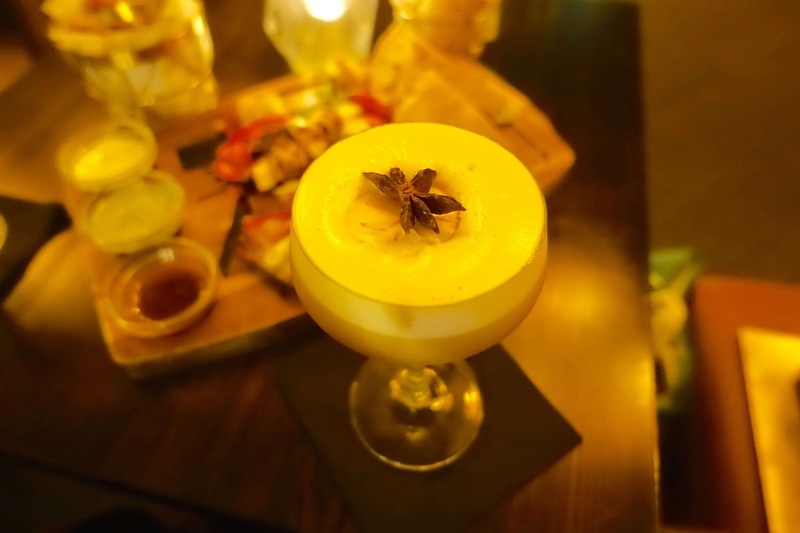 Personally, we felt this cocktail offered a flavour more suited to a mature palette and arrived in a glass which could be described as a "sherry fit for Santa Claus". 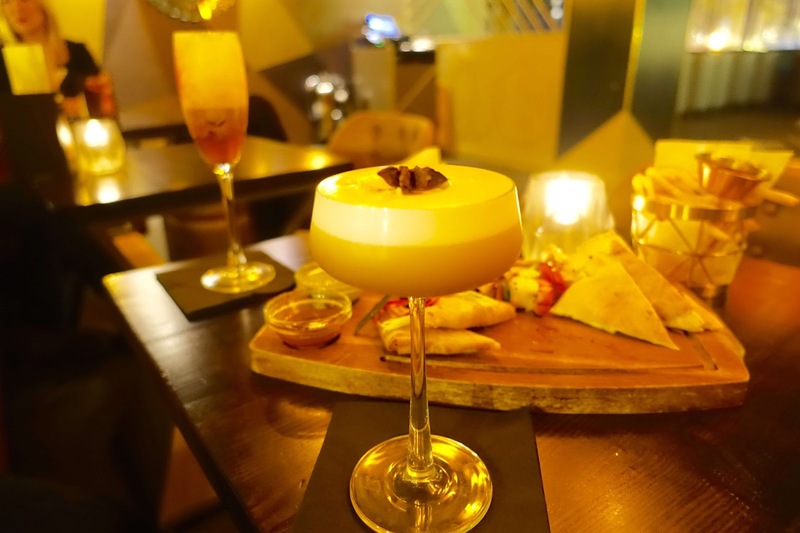 We both agreed that the Sticky Toffee Fizz cocktail was our favourite from this refined Christmas cocktail menu. For nibbles to compliment the sweet cocktail selection usually I would opt for the Distinctively Dirty sharing platter (£15.95) mainly for the delicious signature beef and cheese sliders, however I was with my friend who is a vegetarian so we chose the vegetarian sharing platter (£14.95) which consists of; Mac & cheese bites, crispy vegetable dumplings with sesame dipping sauce, grilled halloumi, vegetable & pesto kebabs, Korean vegetable samosas, grilled flatbreads with mint yoghurt, spinach & Italian cheese dips. The mac and cheese bites were my favourite nibble on the veggie platter! I'm a big fan of the Dirty Martini cocktail chain as I'm sure you'll have noticed from my many previous visits to the Islington branch, the Bishopsgate launch party, and the Hanover Square branch. Last minute Christmas shopping in London? 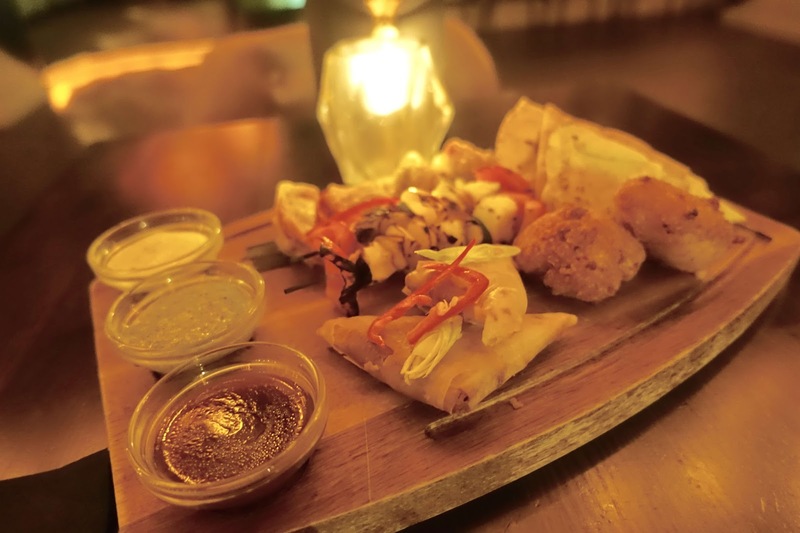 Why not make a quick pit-stop at one of Dirty Martini's 8 central London locations. Most branches have an extensive happy hour from 4-9pm most days of the week - you really must treat yourself to one of their tempting, unique cocktail creations and why not have a nibble and a natter over a sharing platter while you are at it.. one word of advice; the chocolate martini is to die for!